This is a great box! Most boxes are around 5" tall. I have a special cake that is just slightly taller than that. The 10x10x6 inch box is exactly right. It's strong enough to stack and the clear window is a great bonus. BRPBoxshop always has wonderful products and reliable service. 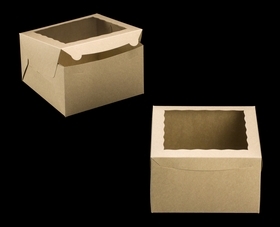 I love these boxes, they are easy to build and look beautiful and professional. The peekaboo window is perfect for showcasing your cake. This is my 2nd time ordering them. I LOVE them! I love the extra depth! We have some pretty big cakes and these boxes are the only ones deep enough to accommodate them. Thank you BRP for carrying these! I like how easy it was to order from BRP Boxshop. And the quality is excellent. I've been using this box since 2015 and I love the look and the sturdiness of it! I highly recommend it! I wish BRP would also make this box in a 10X10x8 for the taller cakes! Great boxes for showing off my cakes! These boxes look great and are well made. I use them primarily for 8" cakes mounted on 10" round boards. The window is great for showing off the cakes, too! Best Uses8" round cakes that are less than 5" tall. I love these boxes. My cakes has height so it is the perfect fit. Not a lot of 10x 10x 6 boxes. The extra inch is what I need. Second or third order and we love the selection and quality. 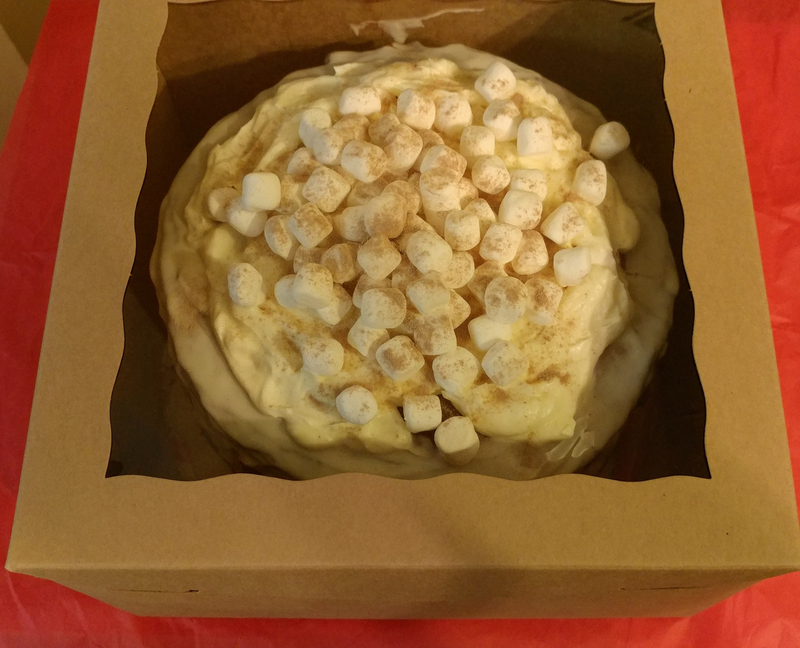 8" Cakes are our most popular size here at Happy Chicken Bakery. These boxes are beautiful, easy to put together, and the window displays our products perfectly. We can't wait to use these for our seasonal and famous Strawberry Fields Cake! Thanks BRP! Love the one piece design and natural kraft paper coloring. Great for our at home bakery look! Great box! Provides sturdy and beautiful presentation. Easy to assemble. I use this box for my 8 inch cakes. There is room for a 3 layer cake with filling plus decorations on top. 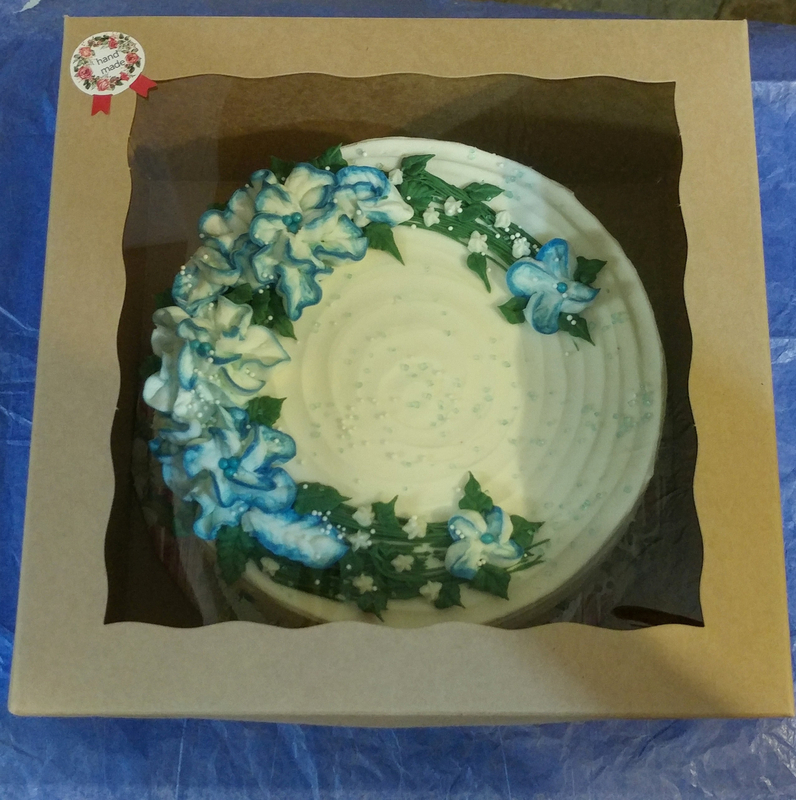 I love these boxes for my layer cakes, they're sturdy, and great for cakes with high decorations. This is a new design? What makes it different? Hi Danette, The way it locks is different. You can see/compare an example of the previous locking design by looking at the non windowed version of this box - item 2381. I hope this helps. Let me know if you have questions.